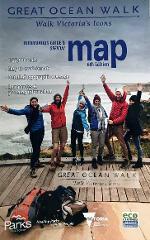 Great Ocean Walk Map for postal within Australia. Large, 2 sided fold out map. Great Ocean Walk Map and International Postage. Large, 2 sided fold out map. Great Ocean Walk Booklet for postal within Australia. This booklet is presented with easy to use half day maps. 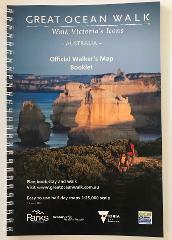 Great Ocean Walk Booklet and International Postage.This booklet is presented with easy to use half day maps.